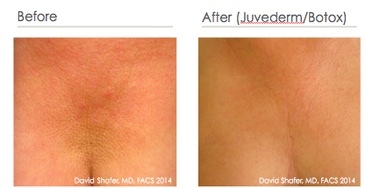 A hot, NEW treatment at Divinity! It seems like every day there’s a new beauty treatment that’s launched and it’s our job to stay on top of them all. Some work, some don’t…here at Divinity, we don’t always buy into the hype, but, there’s one that recently caught Holly’s eye—so much so that she purchased a few of these little devices, tried them out on staff, and drew plenty of oohs and aahs from the crew. It’s called Micro Channelling and it’s now been added to our menu of services! Sort of like an underground skin movement that’s beginning to catch on like wildfire at doctors’ offices & med spas in major cities like New York & L.A., Holly creates a cocktail, which varies according to her patient’s needs. 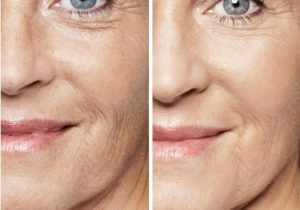 It may include a mixture of saline, lidocaine, hyaluronic acid fillers like Juvederm, PRP and Botox, as well as vitamins and growth factors. 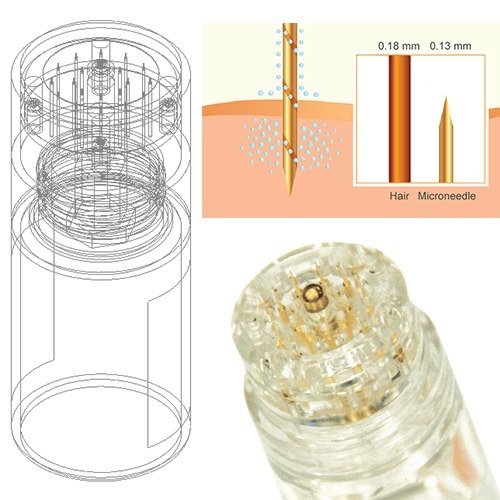 The cocktail is put into a handheld micro-channeling device topped with super thin gold-tipped needles. From there, the device is literally stamped onto the treatment area. Taking about 10 to 20 minutes to perform, the stamping continues until the device is empty of the mixture. 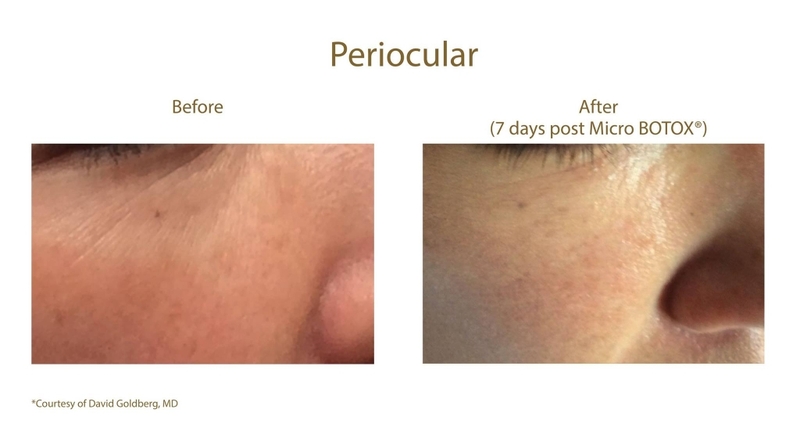 The effect is almost immediate with it’s prime benefits showing within 48 hours and there’s NO DOWNTIME! It’s virtually painless and can be used on the full face, including the sensitive skin under eyes, the neck,décolletage and the back of hands. The “cocktail” developed for each individual is delivered through these 24k pure gold-plated surgical stainless steel micro channels, each thinner than a human hair, so for the first time, drugs and products are being delivered into the skin, not on it or underneath it! There’s no bleeding and no need for numbing cream – depending on area, there will be anywhere from 1 – 3 passes per treatment and patients will see an increase in moisture to their skin. It can also help improve moderate acne scarring. 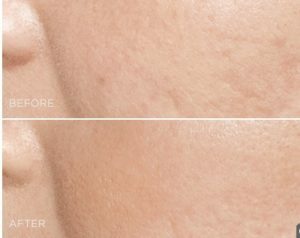 Holly, who performs the treatment as a stand alone, or an add-on treatment after she’s injected a patient with filler or Botox, says, “The mixture is delivered right under the surface of the skin to give a hydrating effect and inhibit sweat and oil glands, which minimizes pore size and the effects can last up to 3 months.” Basically it takes a prune and makes it look like a plum and Holly has been recommending it to improve texture, fine lines, large pores and overall glow in her patients.